Remo D'Souza is back with the Dance Plus Season 3 reality Show and As We Know It's Your Favorite and Number One Television Dance Reality Show, We Loves to Keep You Updated on the Dance Plus 3 Contestants, The Dancers Who are Selected in the Auditions of Dance+ 3 reality Show. Here is the List of Dance Plus 3 Contestants 2017 with their Photos. Meet the Top 12 Dancers Contestants Selected by Remo D'Souza. Remo D'Souza is the Key Judge of the Season. He'll be mentoring the Contestants Throughout the Season and guiding to get Improvement in the Performances. It's Every Passionate Dancers' Dream to get the Super Judge Like Remo D'souza. 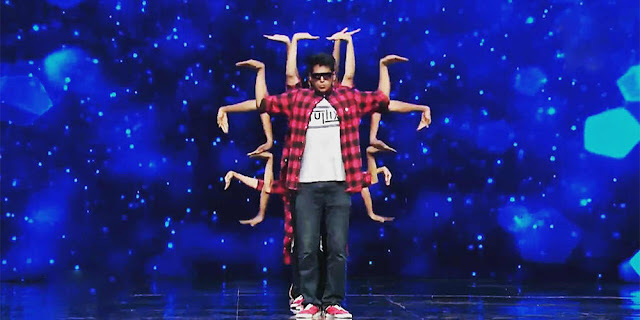 1) The Tuttix Crew (Team Dharmesh)- Tuttix is a tutting crew from India (mumbai). Tuttix is a dance crew, the name is so because our best is tutting and robotics...fused together to form Tuttix..It also includes a wide range of styles notably breaking, locking, and popping etc. 2) Ayush & Mukesh (Team Punit Pathak) - Ayush is the 8 Year Little Boy and Very Talented Dancer Paired with Mukesh and they are making an Amazing Dancing Pair Together. They all set to Compete with Remo's Dance+3 Squad. 3) Kumari Suraj (Team Punit )- Suraj, coined as the "The Queen of Waacking Nouveau ", is also the Queen of many historical firsts. The first Waacking choreography videos on YouTube, influencing everyone in the industry the world over. 4) AVP Crew (Team Punit) - It's Dancers Trio in Dance Plus Season 3, Known for their Iconic Dance Moves. 9) Aryan Patra (Team Dharmesh) - Jhalak Dikhhla Jaa Season 9 WINNER🏆 SYTYCD. India Season 1 TOP 4 Boogie Woogie 2013 Finalist. 10) Shree Rama Nataka Niketan - Team Shakti Mohan - SRNN is a dance school that stands out in for its dedication. It is contending to show the world the rich cultures it is imparting to students. The Dance Plus 3 Contestants are in team Of Judges. Punit Pathak, Shakti Mohan and Dharmesh Yelande. Now It's Going to Happen Solid Dance Battle among the Top Selected Dancers Contestants of India who are Born to Dance and they are very unique and Special in their Quality. We Promise you have never seen Such Dancers and their unique style and qualities Remo and team found out. Interestingly They have to Compete with the World Dance Champions on Remo D'Souza's Squad. The Dance Plus 3 will be Aired on Star Plus, Saturday-Sunday 8 PM on Star Plus.